Nickelodeon personality starring in the series Legendary Dudas who then joined the series Nicky, Ricky, Dicky & Dawn in later seasons. He was also featured in the show I Didn't Do It and later booked a film role in Revival! 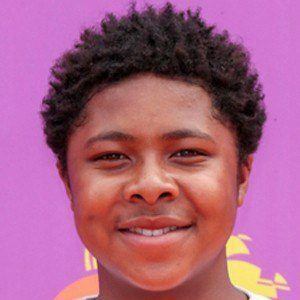 In 2018, he began playing Teddy in Netflix's Prince of Peoria. His first major role was in the show Back in the Game beginning in 2013. He had a guest-starring role in Brooklyn Nine-Nine in the role of Young Terry. He starred alongside Megan Richie in Legendary Dudas.